If you haven't already done so, then be sure to check out the Official LightWave 3D Blog! In the latest post, Rob Powers elaborates more on the new OpenVDB import feature included in the upcoming LightWave 3D release. Two impressive videos rendered by Lino Grandi wonderfully demonstrates some great examples of simulation created in another 3D application and imported and rendered in the next LightWave version! 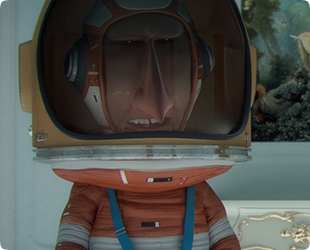 Directed by French artists David and Laurent Nicolas (Noodles California), Black Holes is a 3D Animated TV Series. With a unique graphic style, Black Holes revolves around an astronaut overwhelmed by frivolous insecurities while preparing for the most important mission of his life: the conquest of Mars. Selected at 2017 Sundance Film Festival, the pilot will be presented during the festival. See how they used LightWave 3D in their pipeline to create this animated series. London-based 3D Studio We are Formation impressed us once again with this great example of 3D animated characters created for the famous American battery manufacturer Duracell. Creative partner and 3D artist of We Are Formation, Louis du Mont granted us a few minutes to explain the importance of LightWave 3D in their production pipeline. 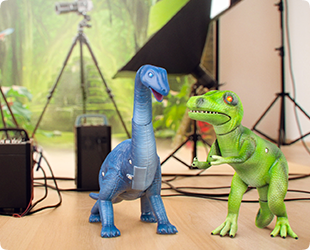 Go behind the scenes and see how LightWave 3D enabled him to create this incredible project. Once again, Engram Studio shows to the world the awesome power of LightWave by creating these incredible architectural images. 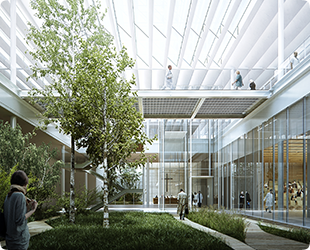 Through a sophisticated use of photorealism bordering on hyperrealism, these top-quality renderings show buildings in all their glory while visually conveying overtones like contemporary urban edginess, avant-garde futuristic, or even at times a gloomy and ominous mood. Over the years, the talented artist Dirk Steffens (aka Luke) learned the ins and outs of LightWave 3D to realize his vision--creating space scenes. 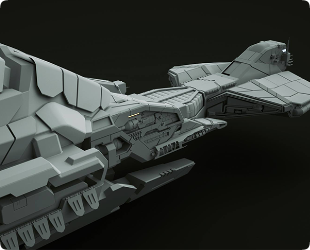 Originally dedicated to Product Design, Steffens combined his powerful modeling skills with the amazing LightWave 3D tools to create this beautiful example of a spacecraft model. Still a WIP, he is using this project to grow his own modeling and texturing skills. See how a single artist used LightWave 3D, OctaneRender and 3D-Coat to deliver his vision. Looking to expand your 3D bandwidth? Or add the power of 3D content creation to your 2D tools? 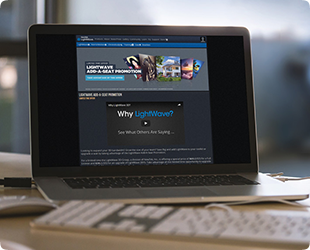 Add LightWave 3D to your toolkit or upgrade a seat by taking advantage of the LightWave Add-A-Seat / Upgrade Promotion. For a limited time, the LightWave 3D Group is offering a special price of $695 (USD) for a Full License and $395 (USD) for an upgrade of LightWave 2015. Act now!